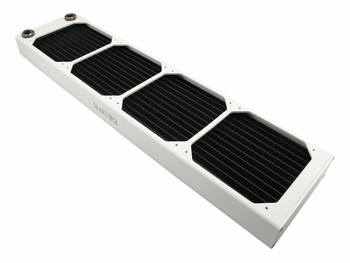 The biggest radiator for most cases is a Quad 120 millimeter. The new White AX480 from XSPC can suit up to eight fans in a push-pull configuration for maximum heat dissipation for your white liquid cooling system. 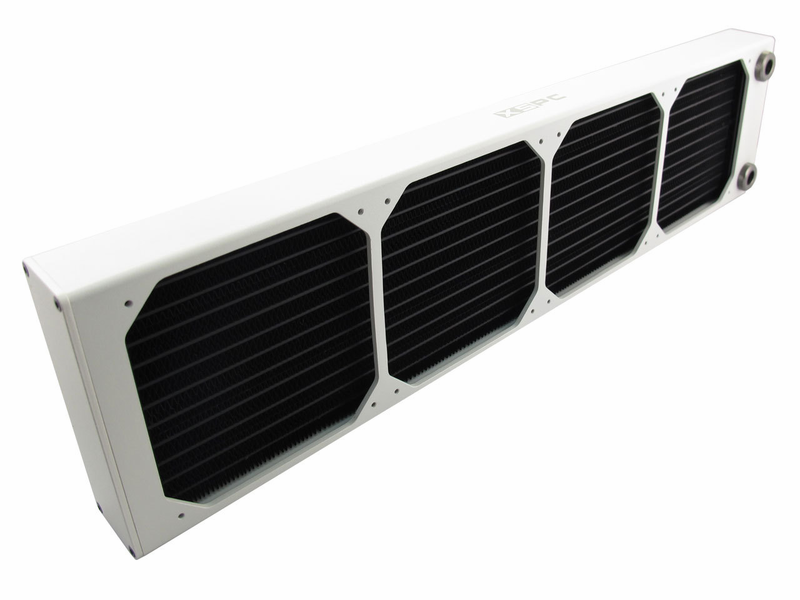 The AX's core is a high performance evolution of the popular EX radiator series. The core includes advances from the EX series like welded seam tubes and splitter fins, but with a thicker core (21mm vs 16mm) and increased surface area. 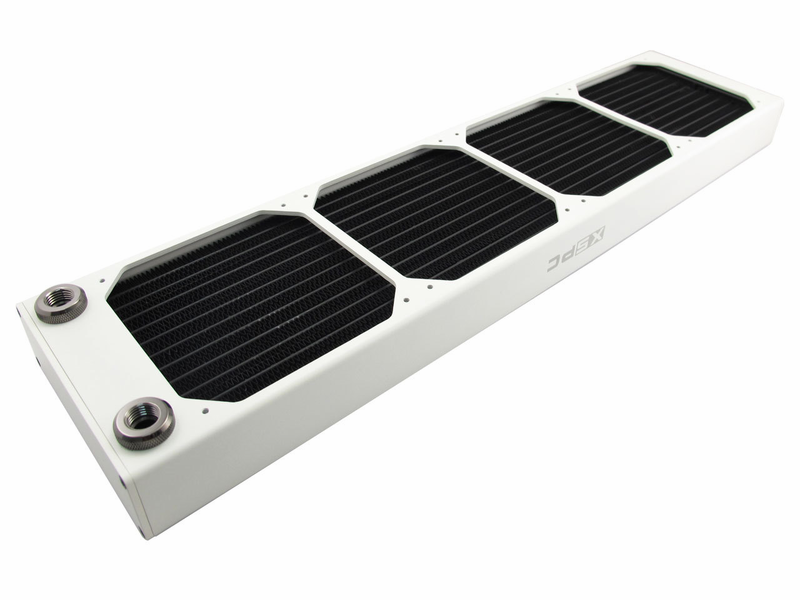 The radiator core is fitted inside of a 3mm thick, extruded and machined aluminium shell. The screw holes are precision cut by CNC which eliminates misaligned screw holes and gives 3mm of screw thread. The aluminium shell also provides a perfectly flat surface to mount the fans against, which eliminates air gaps and any need for a gasket. All of this comes together to make what we believe is the best PC radiator on the market.